Last week Jio announced a special and exclusive plan for all iPhone users and now Airtel has also launched the similar plan matching with the Jio exclusive plan for iPhone users. Airtel has launched 799 plan. The new Airtel 799 Plan comes with daily 3GB Data usage and with unlimited calls. This plan is only for prepaid users. 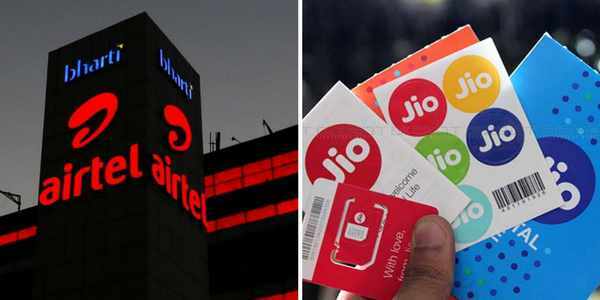 Airtel new plan 799 will give tough competition to Reliance Jio 4G 799 plan that also comes with 3GB daily data limit and with unlimited calls. here are the full details of Airtel 799 plan. Airtel new plan 799 comes with 84GB data with a daily data usage of 3GB. Apart from the 3GB daily data in Airtel 799 plan, the plan also offers free unlimited calls. the validity of Airtel 799 plan is 28 days. Airtel 799 plan is similar to Jio 799 plan. Airtel is also offering cash back if you purchase the new Airtel plan via Airtel Payments Bank. Customers will get a cashback of Rs.75 if they buy the new Airtel 799 plan via Airtel Payments bank. Jio launched the 799 plan for postpaid and prepaid customers. The 799 plan of Jio for postpaid users comes with 30 days validity and 799 plan for prepaid customers comes with 28 days validity. Reliance Jio 799 plan offers 3GB data per day which means 84GB data for 28 days for prepaid users and for postpaid users 90GB data per month. Calling is totally free in Jio 4G plan 799. While on the other side Airtel is also offering the same. But the calls in airtel 799 plan are not free in roaming. A couple of Days back Airtel also launched a new plan with a price of Rs.199. Airtel 199 plan comes with 1GB Data and with free calls. However, the free calls in the Airtel 199 plan are restricted for 300 min daily and weekly 1200 minutes. The validity of Airtel 199 plan is 28 days. This Airtel 199 plan is similar to Reliance Jio 149 plan. Reliance Jio 4G 149 comes unlimited data and calling. Plan 149 of Jio comes with 2GB high-speed data and after the usage of 2GB data, the speed will be revised to 64 kbps. The calls are totally free in roaming too. The 149 plan of Airtel also comes with 300 SMS.